Hair transplant is not the ideal treatment for everyone, in some patients medications or other options might be more appropriate. When you consult us, we’ll discuss all appropriate treatment options with you and advise you on the best way forward. Hair loss medications do not restore hair, but can slow down the process of hair loss. This is a good option for people whose hair loss hasn’t stabilized or is in the early stages. 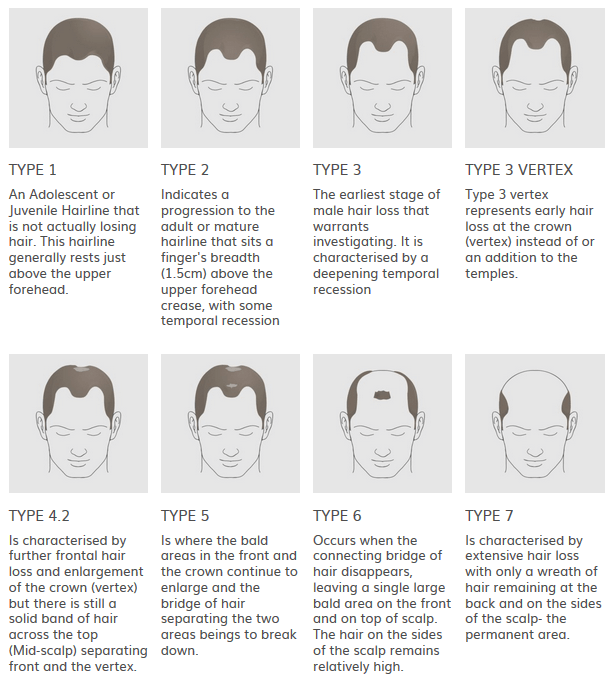 This treatment can also be used in combination with hair transplant surgery. Minoxidil and Finsteride (Propecia) are the 2 medications licensed for use in hair loss. We’ll go through more details about the medications if we think this would be the most appropriate treatment for you.